The cape porcupine is a rodent belonging to the Hystricidae family. the North American porcupine belongs to the Erethizontidae family. They are among the largest rodents in the world after Capibara, beaver, and paca. 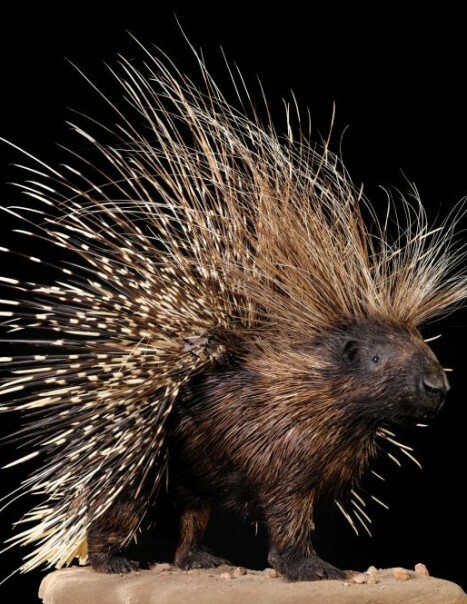 The South American porcupine – which is the world’s largest porcupines – is found across the whole southern and central Africa. The body of this rodent is covered in long spines, interspersed with thicker, sharply pointed, defence quills and with bristly, blackish or brownish fur. The spines on the tail are hollow and used to make a rattling sound to scare away predators. 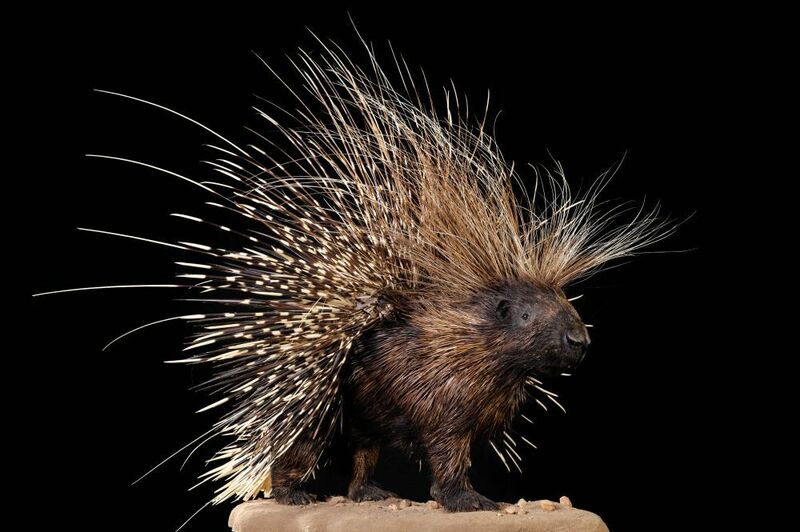 The porcupines do not have the ability to project their peaks, but they come off easily. Staying planted, they sometimes cause septicemia. An erectile crest of long, bristly hairs runs from the top of the head down to the shoulders. The spines and quills cover the back and flanks of the animal, starting about a third of the way down the body, and continuing onto the tail. The quills have multiple bands of black and white along their length and grow from regularly spaced grooves along the animal’s body; each groove holding five to eight quills. The remainder of the animal, including the undersides, is covered with dark hair. The young are born without quills, they appear only after 3 days and hardened after one week. From solitary nature, they are also nearsighted. They are limited to the necessities of reproduction and sharing food and vegetation. Many reach 5 kg. Those of America are often excellent climbers trees and their quills are individualized and not in clumps.